it's such a pretty day in San Francisco today and spring is on it's way! 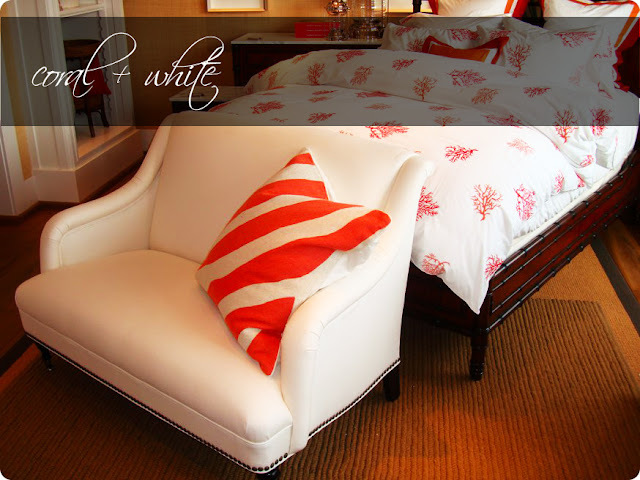 I have been thinking about coral and white - clean, romantic colors that feel good all the time. 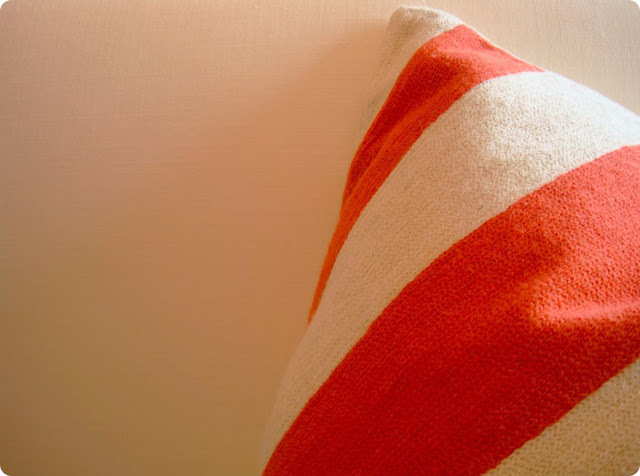 I love this striped pillow from Williams-Sonoma Home. Changing out your throw pillow covers is an easy and affordable way to change the entire vibe of your small space. The coral and white looks beautiful! I, too, have a two-seater at the end of my bed with bright coloured cushions, a recent addition and it was fun making the covers. Love this color combo! SO clean, fresh, and summery! I think I am inspired to use it more, especially coral! Thanks for sharing! Coral is my favorite. I wear it and love it! Thanks for the eye candy! i love this combination! it's fresh and screams chic!! !